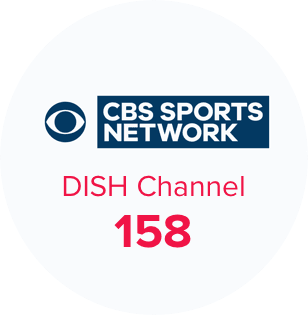 CBS Sports can be found on DISH Channel 158. The CBS Sports Network we know and love dates back to 2002, when it was launched as the National College Sports Network. Since then, the channel that started out carrying college sports programming has evolved into a channel with more options than ever. Coverage includes professional bull riding, extensive women’s sports, and Army-Navy football. Tune into channel 158 to watch CBS Sports 24 hours a day—the network airs over 3,000 hours of content yearly. And when you order the America’s Top 200 package or higher, CBS Sports Network comes included in your subscription. Take control of your viewing time with the Hopper 3’s unique functions. Use MultiView, Multi-Channel View, and Side-by-Side to tune into more than one game at a time. Two games on at the same time? Use Side-by-Side. 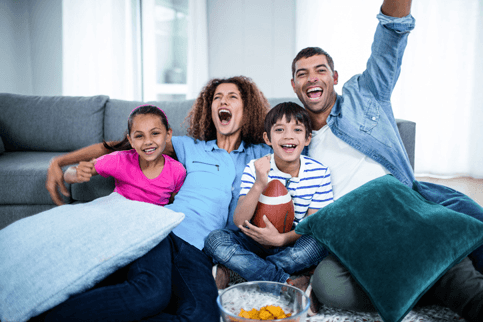 For just $5 more a month, take advantage of the MultiView feature to watch four games or shows at once. Or take it to a whole new level with Multi-Channel View, which puts six different shows on your screen at once! Due to its origin, CBS Sports Network is still full of college sports action. Get your fill of college basketball, lacrosse, football, and hockey. CBSSN will get you access to coverage for the Mountain West, Mid-American, and the American Athletic Conferences for football, as well as the Army-Navy game and the Cure and Arizona Bowl games. If hoops are your thing, click over to CBSSN to enjoy American Athletic, Big East, Mountain West, and Mid-American Conference games, as well as Division II Women’s and Men’s tournaments. Enjoy other sports options like Major League Lacrosse and rugby, Arena Football League, professional golf, and even National Finals Rodeo. Don’t miss out on great sports talk with shows like Boomer and Gio, We Need to Talk, The Jim Rome Show, and Tiki and Tierney. 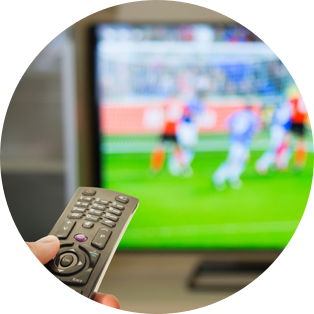 The true sports fanatic needs more than most TV subscriptions offer. That’s why DISH provides great sports packs to supplement your regular service.